This past weekend, I was in the Chicago area and came across two spaces that became the highlights of my trip. We are accustomed to visiting public gardens and learning from them ideas and plants that we can apply to our own gardens. 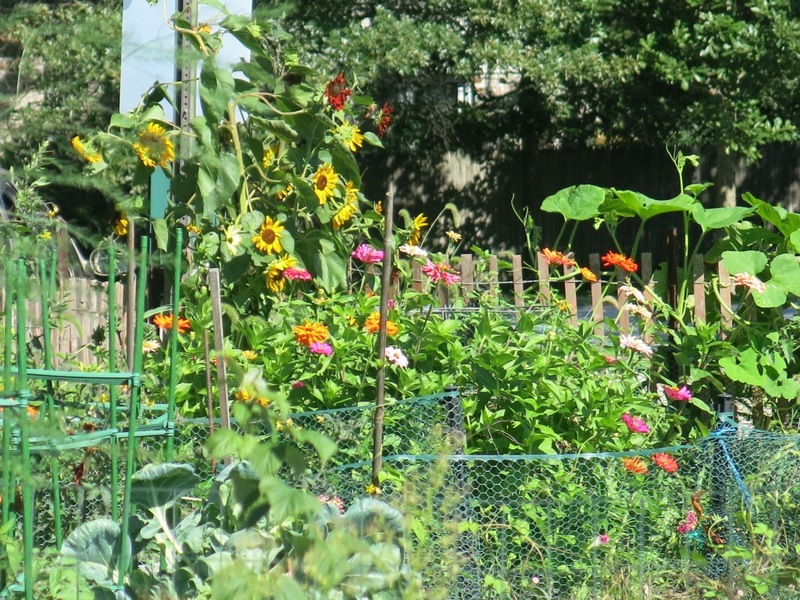 But to see an ordinary neighborhood park or a bike/jogging trail offer up unexpected gardening lessons is nothing short of thrilling. 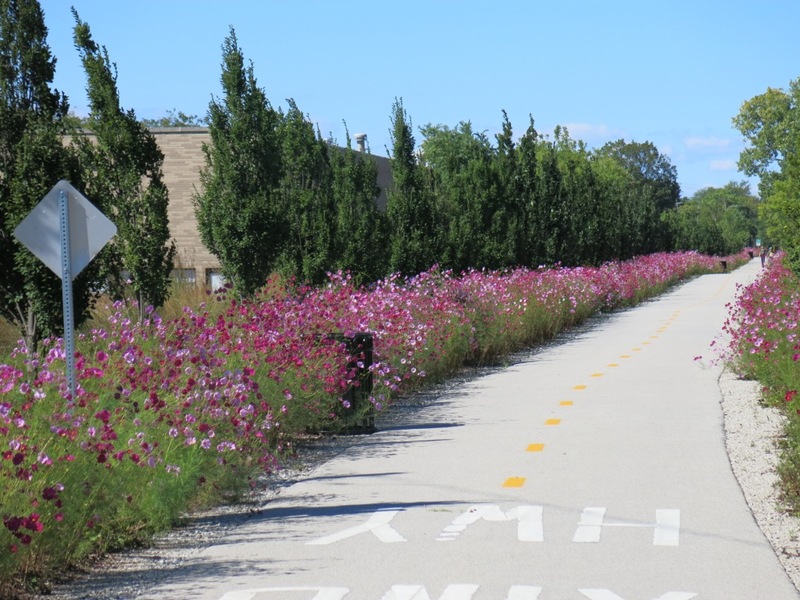 Driving along a very nondescript road in Skokie, I spied a large stand of bright pink cosmos waving happily to passers-by. Seeing this rather unusual display, I felt compelled to stop, get out and cross the road to catch a closer look. What a surprise awaited! 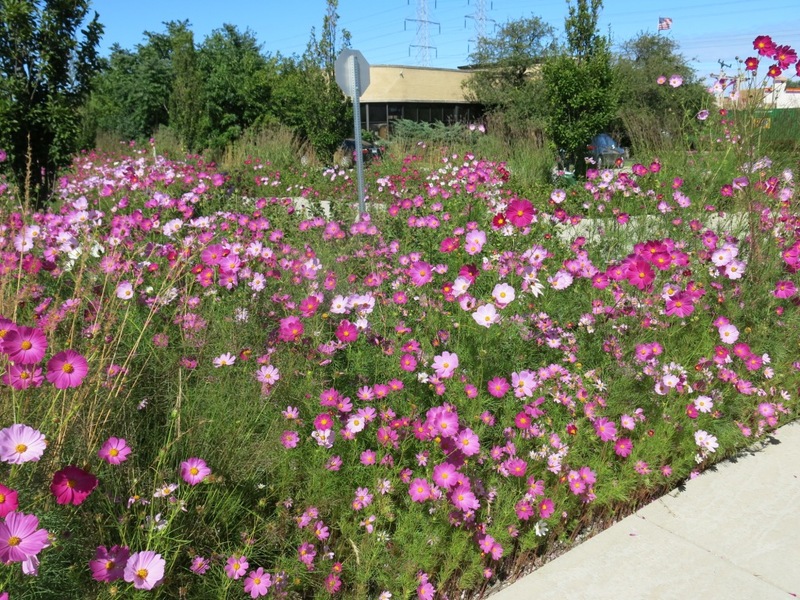 This clump of cosmos was actually a whole looooong bed of cosmos that lined a bike and running path through which said road cut across. 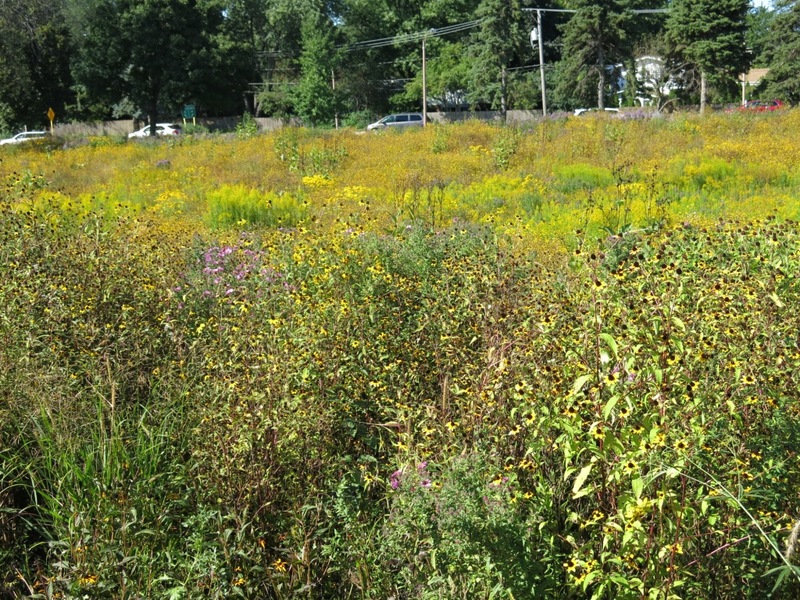 Not immediately visible from this road, the flowers were there solely to cheer on the recreational crowd. It was utterly charming. To me, this simple, inexpensive and enchanting idea is pure genius. 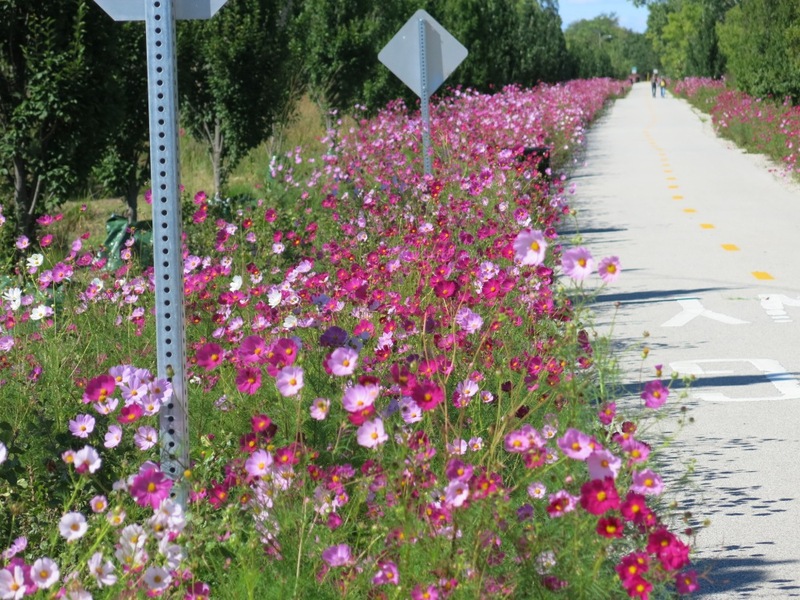 What better way to make a ribbon of asphalt cheery and attractive? I’m hoping to discover if other seasons are equally well served along this trail. 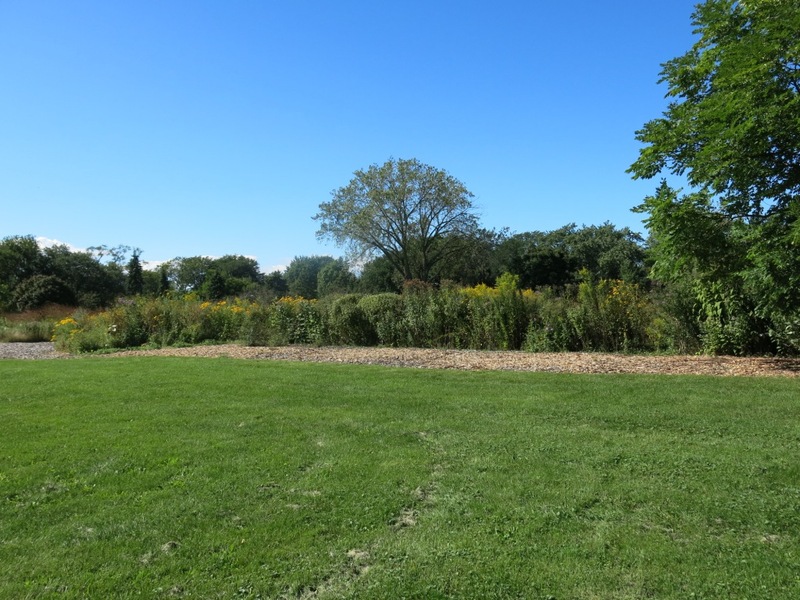 The second surprise I came upon is what once was a green space that provided residents of Wilmette a place for picnics, sunbathing and other downtime pursuits. 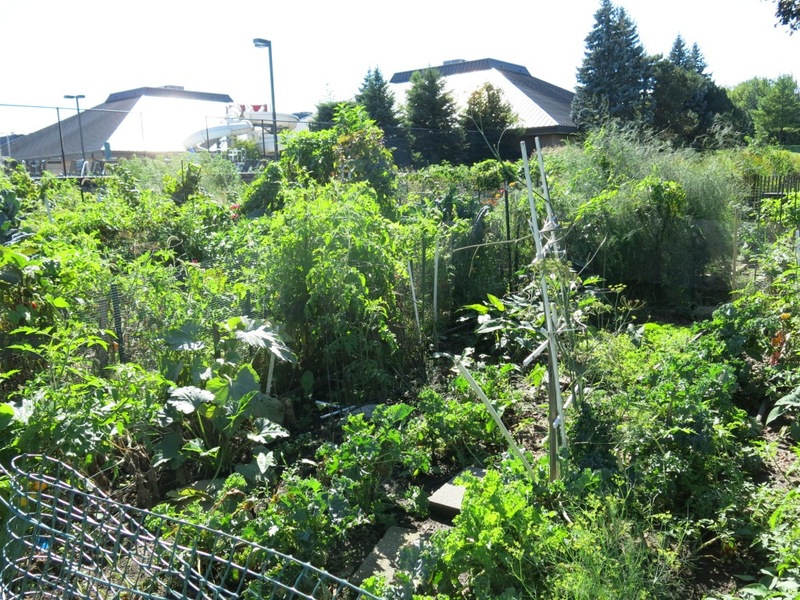 While it still offers that, it now also hosts a spectacular expanse of a prairie garden as well as a thriving community/allotment garden. 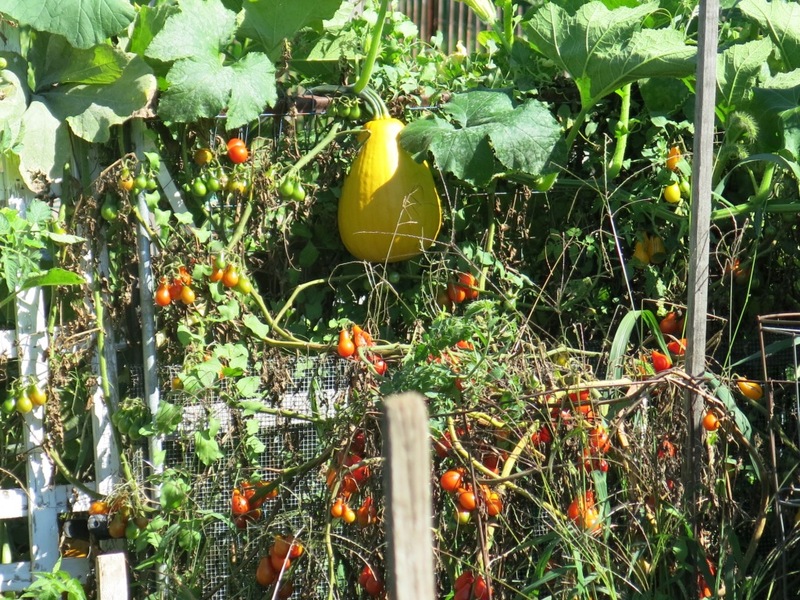 The former recalls the landscape indigenous to the area and subtly suggests to the residents what they too could grow, the latter draws attention to the joys and rewards of cultivating the food we put on our tables. Both gardens support a plethora of wildlife like butterflies, bees and birds and, are so vibrant in their purpose. More park-lands around the country should follow this example. My take home was to keep it simple, native and fun. As always, travel instructs and opens the mind. 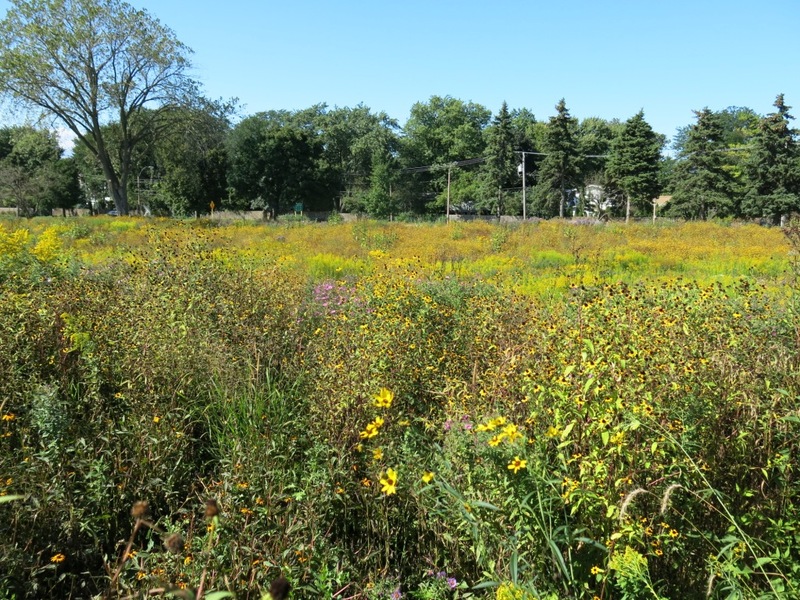 Note: The prairie garden at Wilmette’s Centennial Park is a work in progress. Started in 2010, it expects to be completely established in a few more years. I caught it at the tail end of the growing season. One can only imagine how much more colorful and rich it is in spring and early summer. This entry was posted in Deep thoughts, Your Garden and the Globe by pgbundil. Bookmark the permalink.